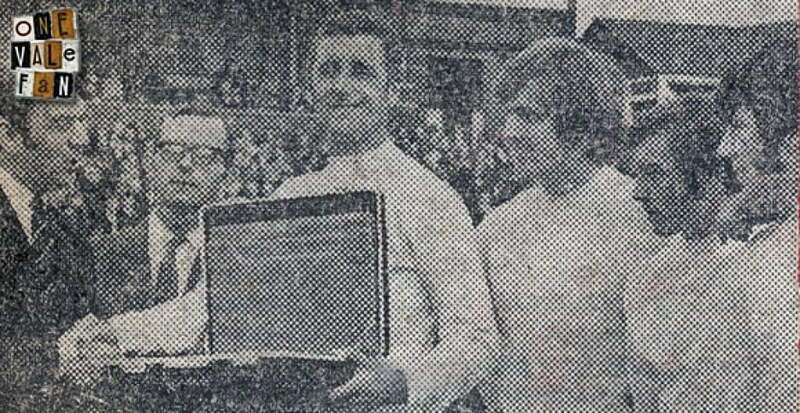 We take a look back to November 1969 and a national award for Port Vale club legend Roy Sproson. 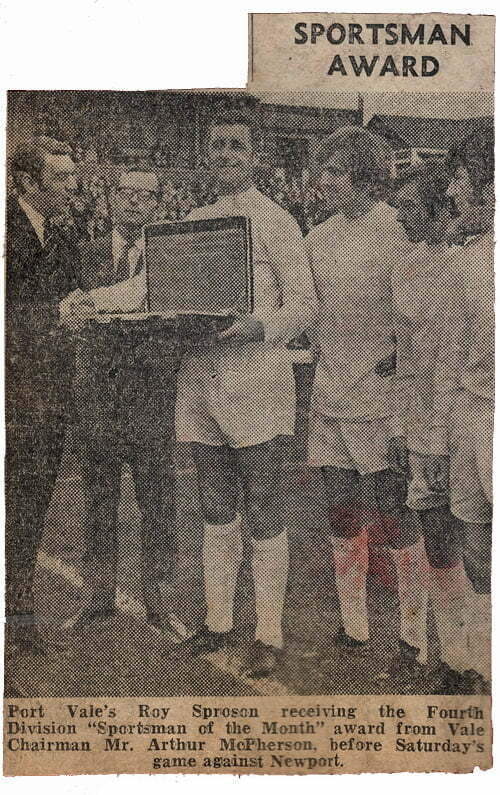 The year is 1969, the date is the 1st of November and the occasion is the awarding of the Gillette Sportsman of the Year award to Roy Sproson. The event took place on the Vale Park pitch before Vale’s home game with Newport County (Vale won 3-1). 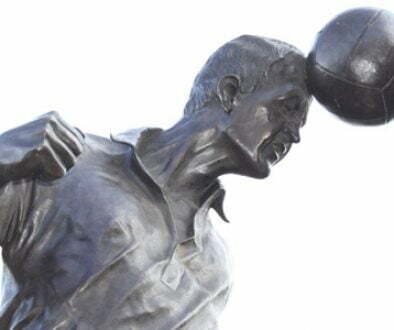 During that season, Sproson made his 800th senior appearance for the Valiants. He would eventually finish with 842 Vale appearances (837 starts plus five as substitute).